Free the four fairies of the elements and restore the book of magic. 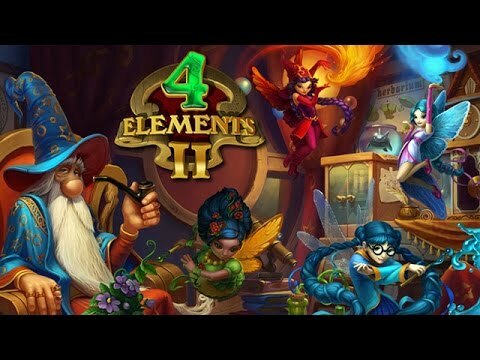 "4 Elements II is so much fun. This sequel has more to do and more things to find. It was exciting, hard at times, but ever so rewarding. The lesson of helping your fellow man makes this a fantastic game for all ages to enjoy! Thank you to who ever invented it." Misfortune has befallen the magic kingdom again. A careless charm made the formerly wondrous ancient world overcast, beset with darkness and despair. Four fairies of the elements were deprived of their magic power. Be the hero the kingdom seeks: set the fairies of earth, air, fire and water free, and restore the book of magic in the sequel to the renowned puzzle game.